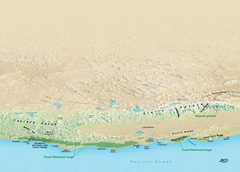 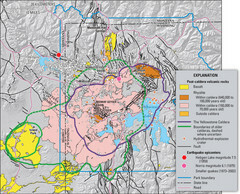 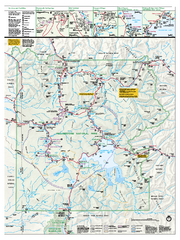 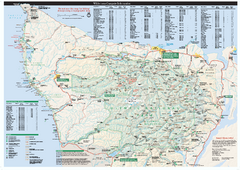 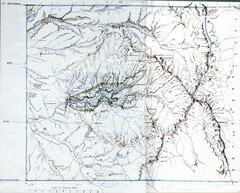 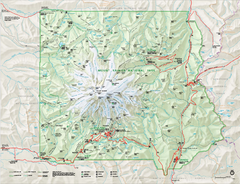 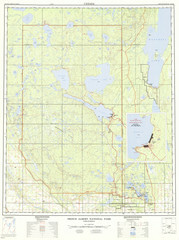 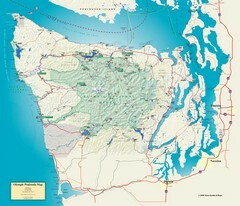 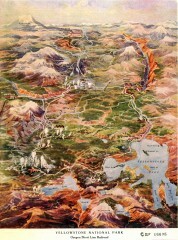 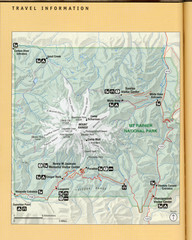 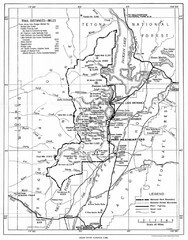 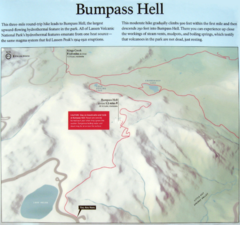 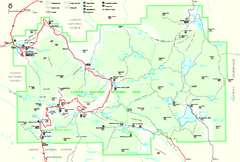 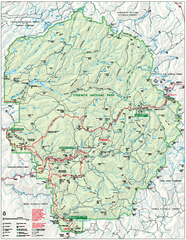 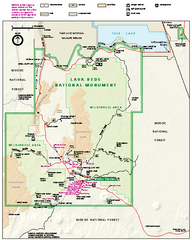 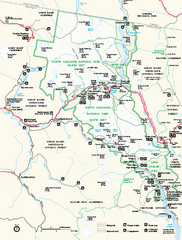 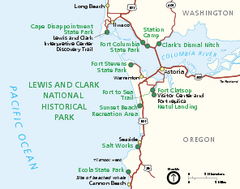 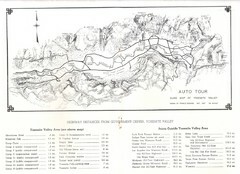 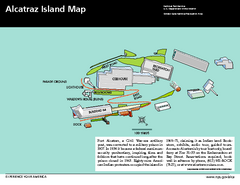 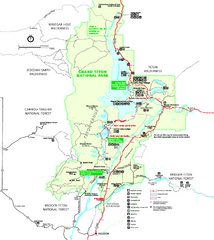 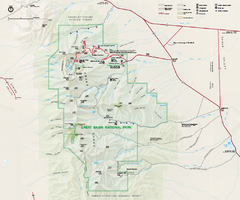 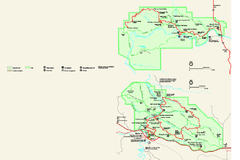 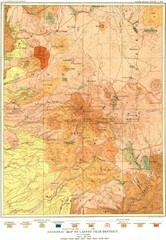 Official park map of Glacier National Park and Revelstoke National Park in British Columbia, Canada. 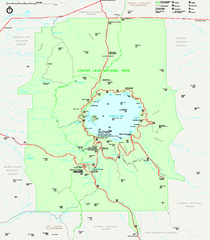 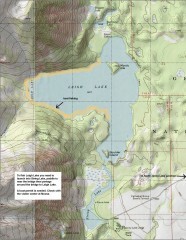 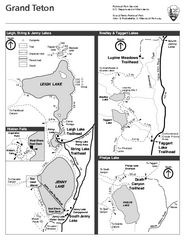 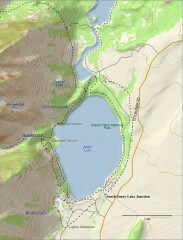 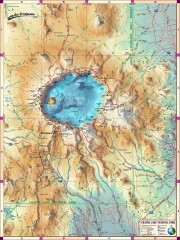 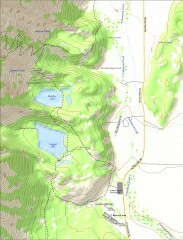 Shows hiking trails around Jenny Lake in Grand Teton National Park. 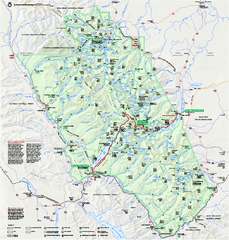 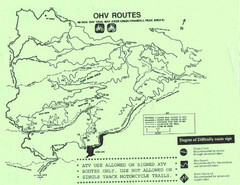 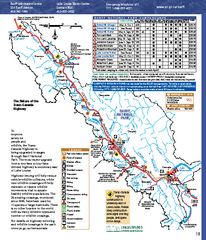 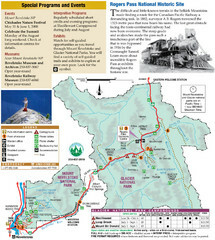 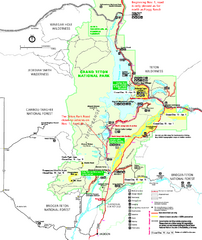 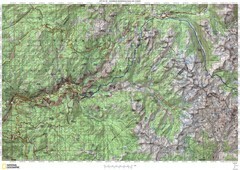 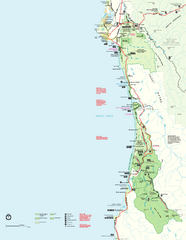 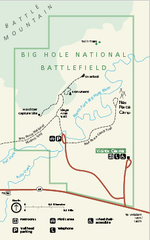 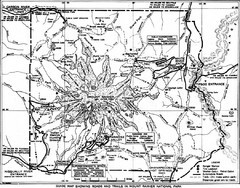 Trail map of hiking trails in Yosemite Valley, Yosemite National Park, California.